HONG KONG - Asia's richest woman, Nina Wang, has died of an unspecified illness after reports she had been battling cancer, leaving unanswered questions over the estimated $4.2 billion fortune she left behind. 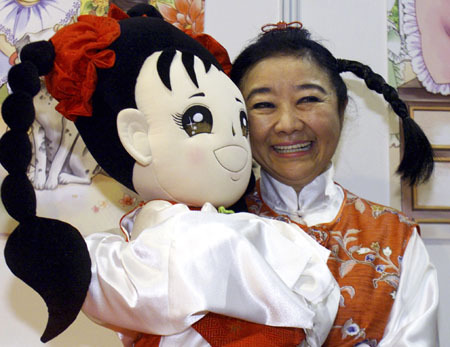 Known for her signature pigtails and nicknamed "little sweetie" by the local media, Wang, 69, won a court case in 2005 for her late husband's business empire in a case filled with tales of adultery, kidnapping and murder. The Hong Kong heiress, whose maiden name was Kung, was reported by local newspapers to be suffering from cancer, but that was never officially confirmed. "Chinachem Group's chairwoman Nina Wang Kung passed away on April 3 and the details of the funeral will be announced later," her personal assistant, Ringo Wong, told Reuters by telephone. Wang's company, Hong Kong's largest private property developer, Chinachem Group, confirmed in a statement that she died on Tuesday. Wang was ranked by Forbes Magazine as Asia's 35th richest person, having successfully battled her father-in-law for a multi-billion dollar estate left by her late husband Teddy Wang, a property tycoon who vanished more than a decade ago. Central to the marathon probate case was a handwritten will which Wang said was penned and signed by Teddy in March 1990, a month before he was kidnapped and never seen again.